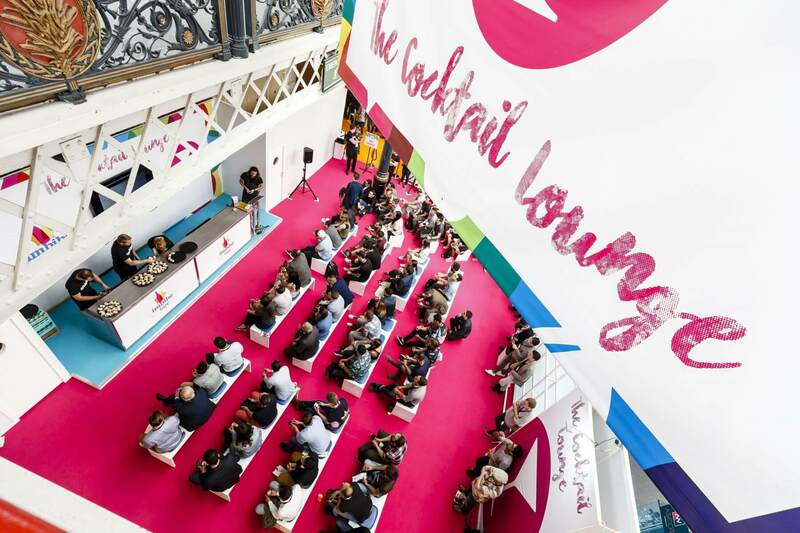 Every year the country's drinks professionals descend on London's Olympia to attend Imbibe Live, Europe's largest on-trade drinks exhibition. We went along to find out about the latest trends in the bar world. • Botany: using flowers and pollen in cocktails or to infuse spirits. • Simplexity: a traditionally simple or familiar serve, with a challenging element. For example, a Bellini is a simple cocktail which is familiar to guests. In New York, Caffe Dante add strawberry, rhubarb and rose instead of the traditional white peach for the complex element - meaning customers try something new, while not straying too far from their comfort zone. • Takeovers: the bar equivalent of the guest chef night. Inviting another bar (from either the UK or abroad) to host an event featuring their cocktails or a collaboration. • Get trollied: drinks trolleys have existed in a number of forms (champagne or digestif, for example), but there are more innovative ways to use this feature. 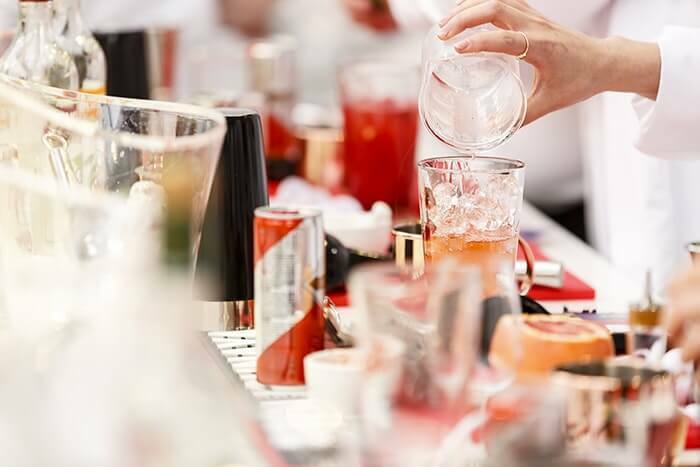 In Marina Social (Dubai), a Bloody Mary trolley is used for brunches, while Jamie's newest idea is an Espresso Martini trolley, featuring different coffee liqueurs, spirits, sweetening elements and spices. The trolley allows guests to customise their cocktail experience. One of London's top bartenders, Ryan Chetiyawardna (aka Mr Lyan) is adapting his bars to become much more sustainable in their design and practice. The topic has been championed by a number of restaurants, notably Silo in Brighton, and Ryan thinks it's time bars played their part too. There are several misconceptions about sustainability: that it is difficult, impractical, costs money and won't make a difference. Many bar traditions date back hundreds of years, and they are also seen to serve luxury products - but this isn't the only way to produce drinks. It's important to find new products and resources to enable bars to operate more sustainably. As an example of finding ways to be more sustainable, when Ryan's Dandelyan bar at The Mondrian Hotel first opened, their menu used a lot of egg whites, which meant a large amount of egg yolks were going to waste. They have now reduced the amount of wastage by first sending all of the spare egg yolks to the hotel's pastry kitchen, and second, by redesigning the menu to include less drinks which require egg whites. Here at Principal we'll be looking to incorporate the best of this year's drinks trends in our bars and continue to work to make our operations more sustainable.